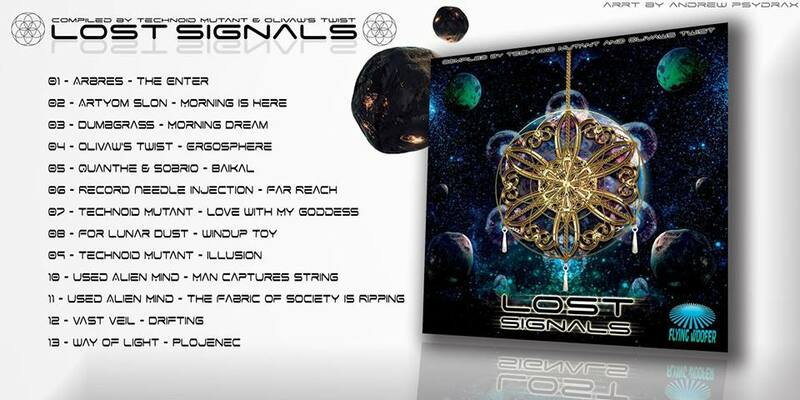 VA - Lost Signals (Ambient, Space Music, Glitch) - PLEASE SHARE! Flying Woofer is back with new tasty treats from outerspace! This time the Woofa is buzzing with psybient frequencies that instantly beam up anyone who comes under it’s area of exposure. Collected by Technoid Mutant and Olivaw’s Twist, this ambient music compilation contains 13 masterpieces that will instantly zone you out into lost galaxies. My new project - Olivaw's twist is on it! Some feedback would be awesome! Also if you are keen to participate in our next compilation, please holla!